Don't Mock Nick Jonas's Height, It's Just Rude. Very Rude. 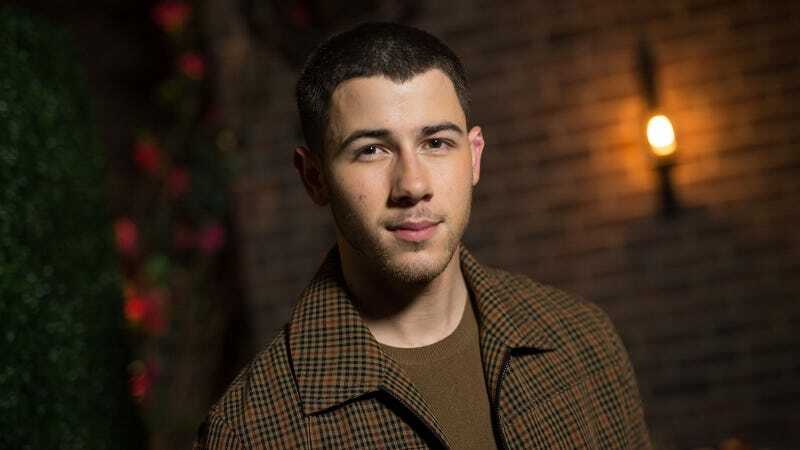 Nick Jonas is, according to Google, 5'7", which is, according to Wikipedia, two inches shorter than the average male height in the U.S. So maybe he’s a little sensitive, but also he’s got a good face and millions of dollars and is beating diabetes with fitness so, all things considered, he’s doing fine. This is a great point. While being a celebrity isn’t exactly thankless—in fact, you are thanked for merely existing in so many ways on a given day—it really must be annoying to take time out of your busy life to appease someone who wants a picture so they can be thanked for existing alongside you (via “likes”) on Instagram. And then to be lightly roasted in response is just rude! Very rude! I fully support Nick Jonas’s Stephanie Tanner-ing.